Welcome to Day 3 of our Anniversary Release Week. I hope you have been enjoying what you’ve been seeing so far! 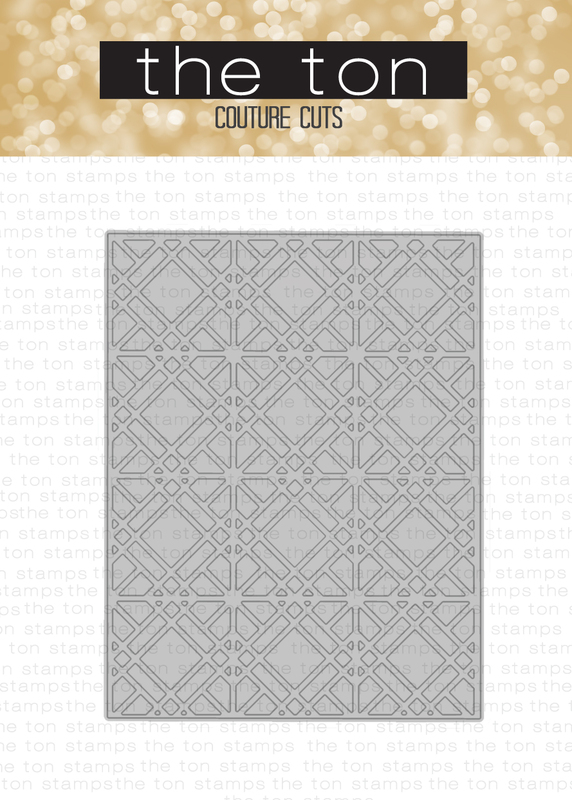 🙂 Today, we are featuring four stamps, one die and three new Couture Mixes. 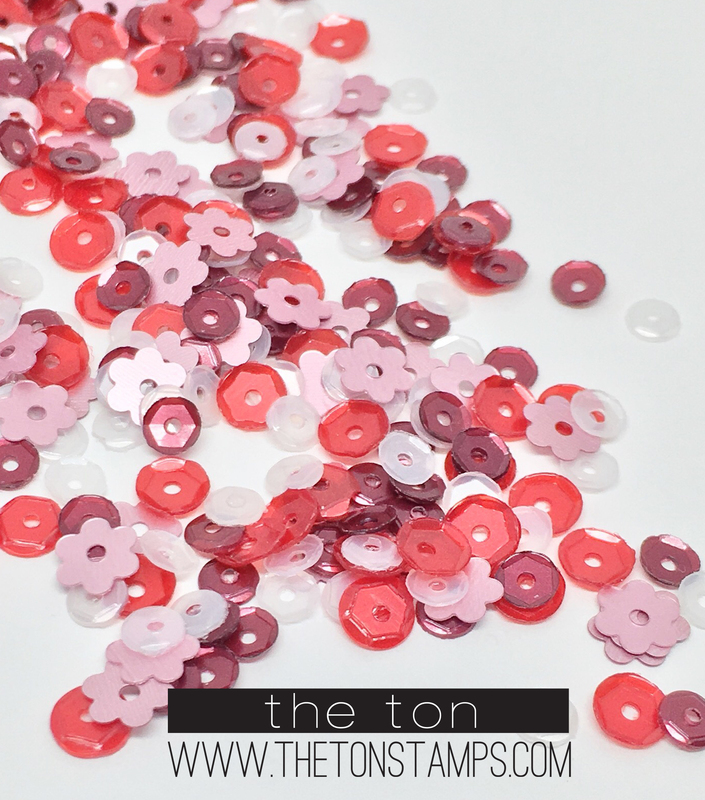 Our Couture Mixes are carefully curated compilations of sequins, beads and other gilding that are perfect for your shakers and other papercraft projects! 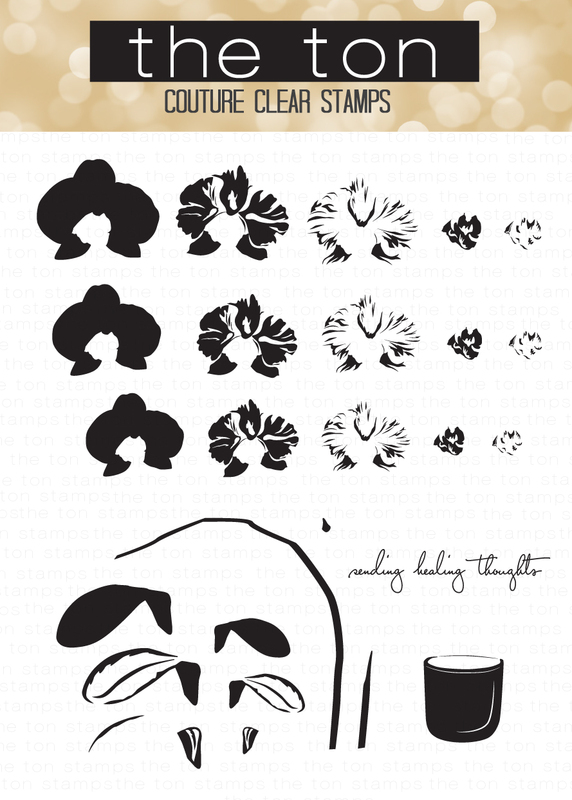 Our Fresh Cut Orchids is the next floral set in our Fresh Cut series. It comes with a simple and minimalistic style vase stamp and three sizes of orchid flowers so you can stamp delicate hanging orchids on your projects. As with our many layering stamps, a color printed layering guide is included with each stamp set. 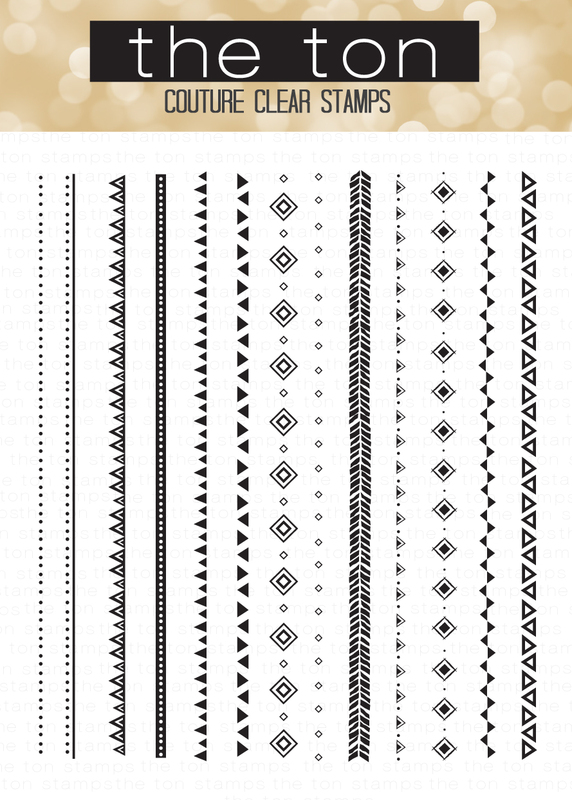 Our Tribal Chic Borders can be stamped together for creative backgrounds or in single lines for chic borders! 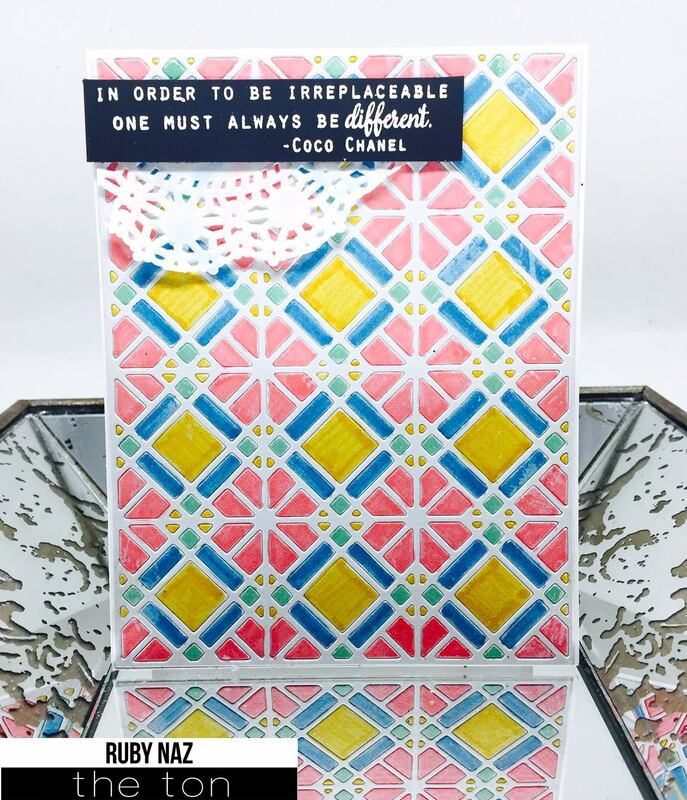 Our new Geometric Lattice cling stamp is a perfect backdrop for your florals and other papercraft projects! 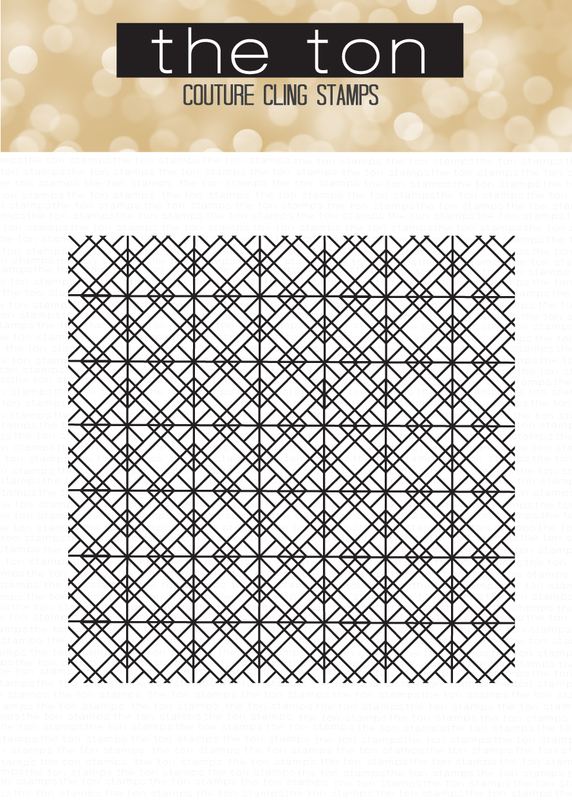 Our new Geometric Lattice Coverplate Die is the first in our collection. 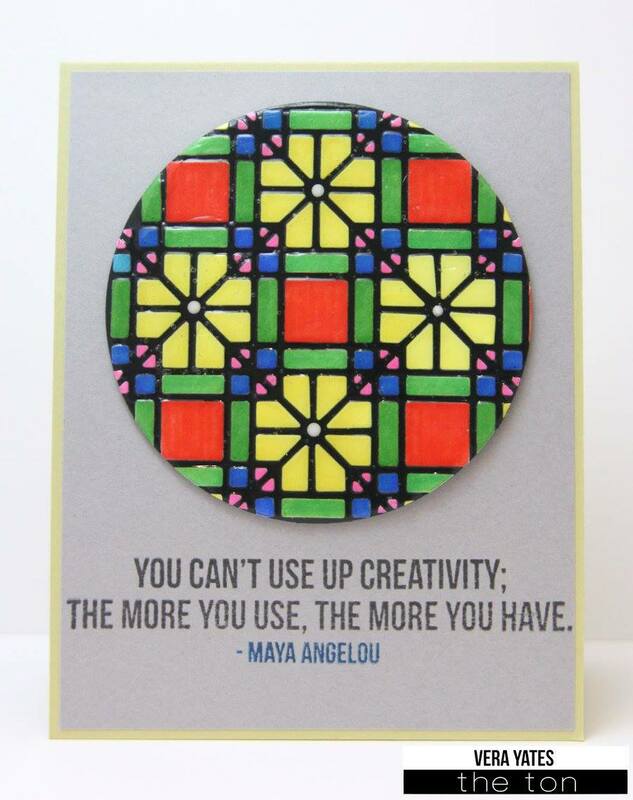 Create shaker cards or a dimensional background with this die! Now that you’ve seen the featured projects for today, enjoy the following gallery of inspiration by our fabulous DT members! Be sure to visit each design team member’s blog for more details on how they created their projects! Jess‘ card is breathtakingly elegant with her hanging orchids. Her arrangement of the orchids also make this so realistic! 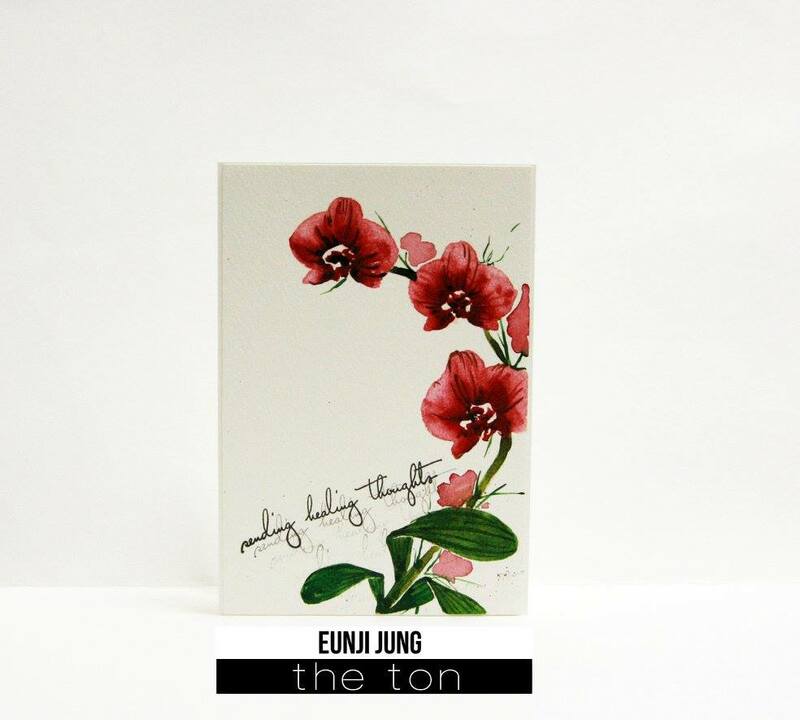 Eunji created an artistic cluster of orchids with her card. She also added some hand drawn elements to create a different and stylistic look to her project. Keeway’s purple orchids are so pretty, elegant and realistic looking against beautifully blended background. Emily’s card has so much dimension with her fussy cut orchids and her matching background which she created using our new coverplate die. 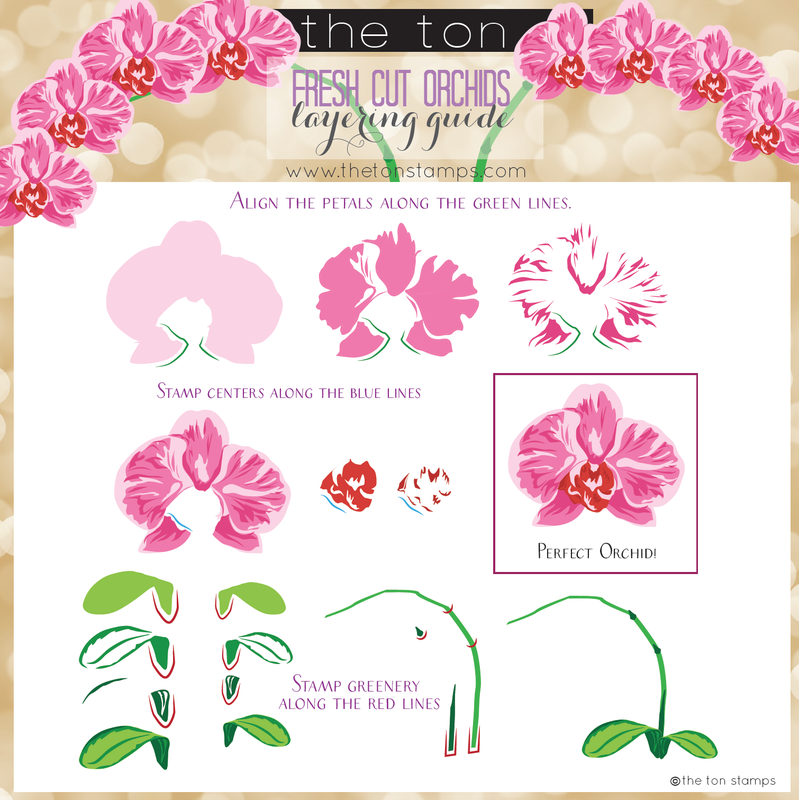 Eunji took her watercoloring skills to our Fresh Cut orchids to create an artful card with red orchids. 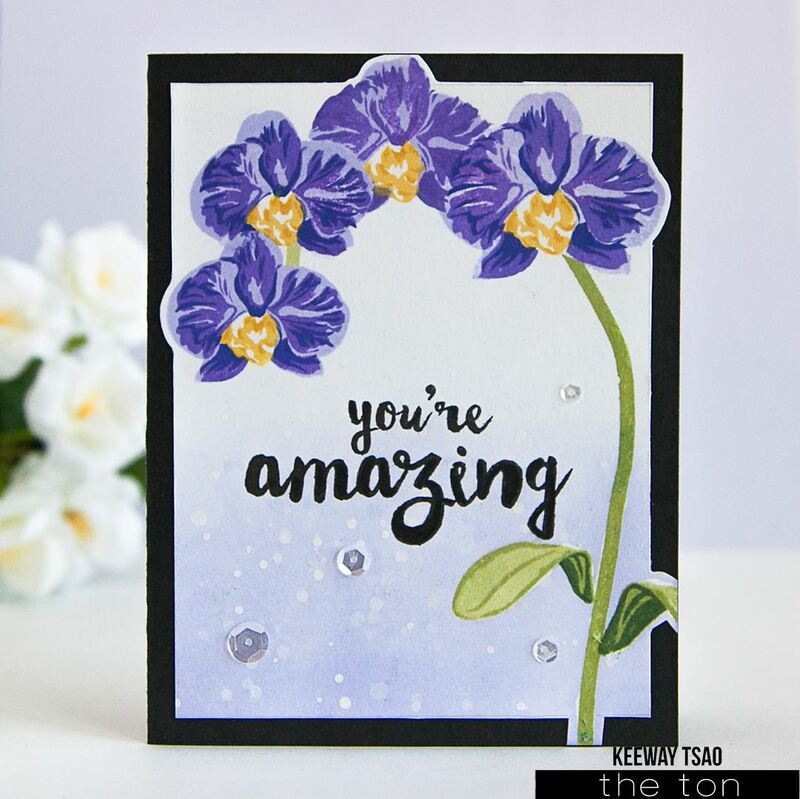 Emily’s next card is absolutely beautiful and dreamy as she creates a focus on her purple orchids with her blended background. I am loving the color choices on Vera’s card. 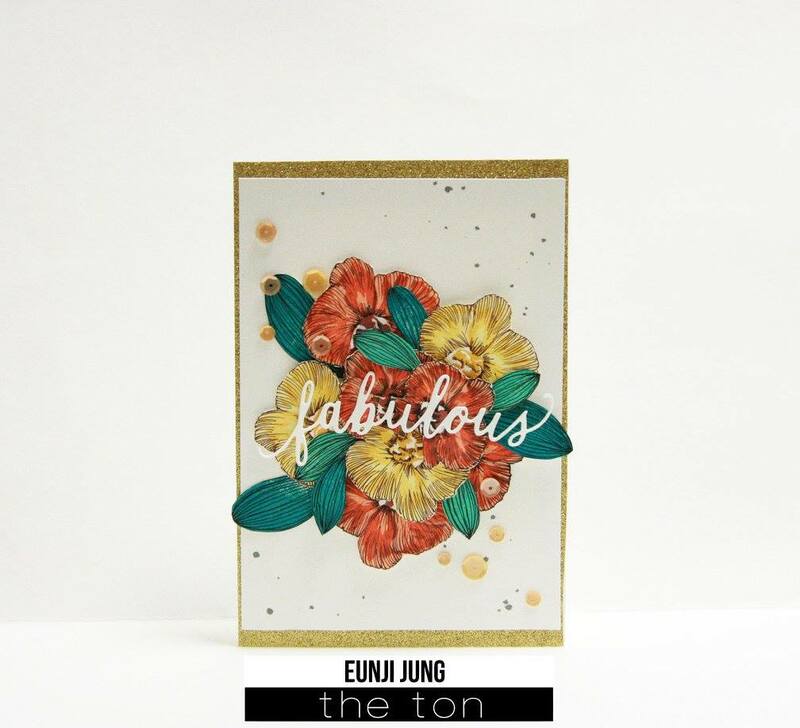 Her use of our new coverplate die reminds me of beautiful stained glass! 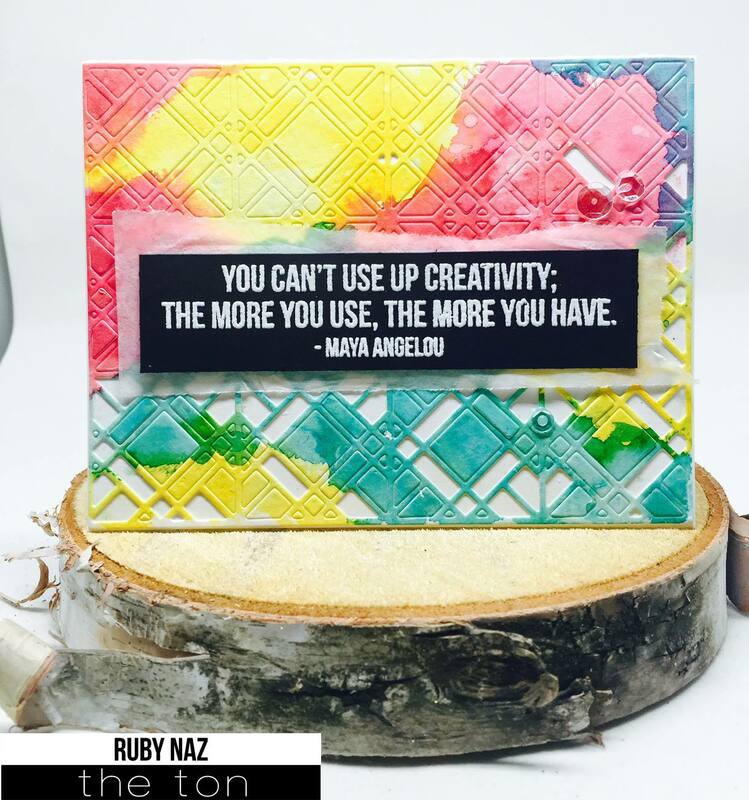 Ruby’s card is so colorful and festive and that partial doily adds a nice feminine touch to her project. Emily’s next card is glittery and gorgeous. 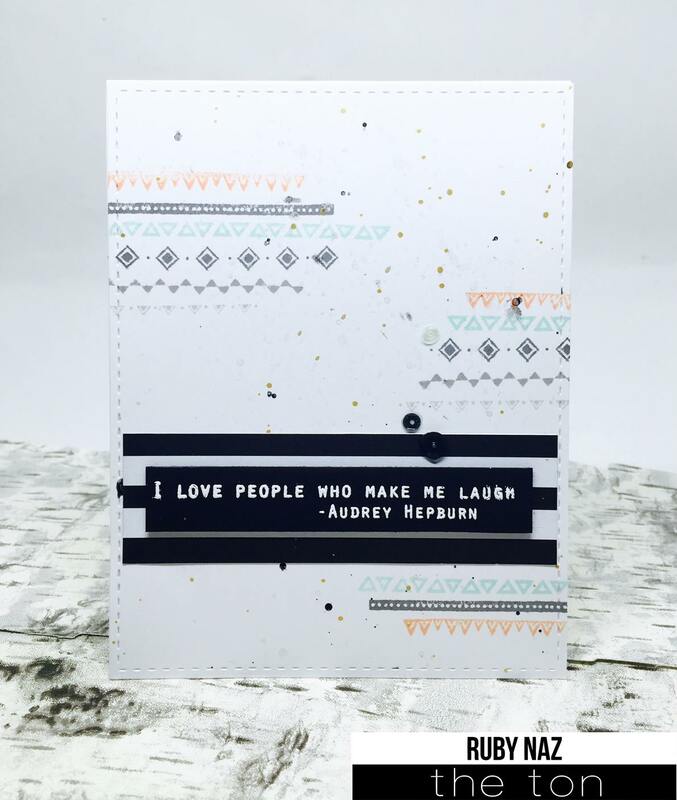 That sentiment pairs well with her glitter lattice die cut and sparkling floral die cut (which is from our Petal Cut Peony dies). 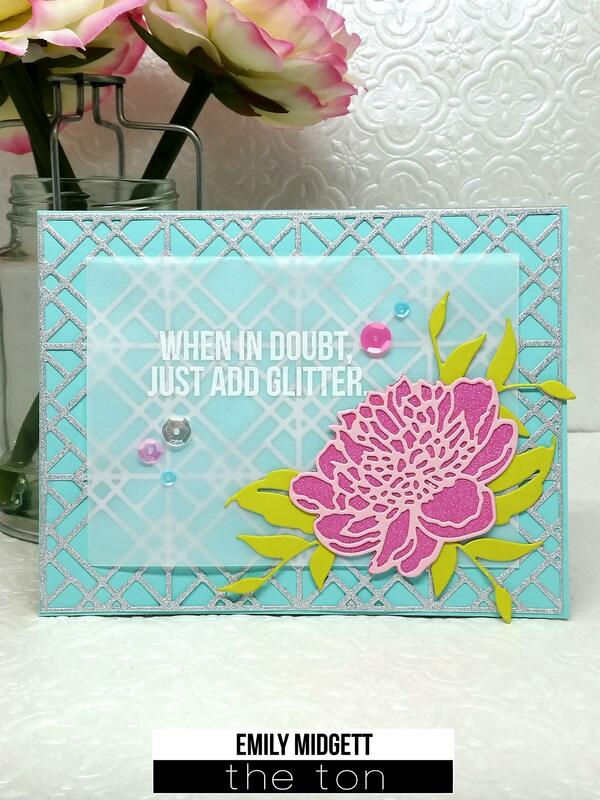 Next up is my card where I created a shaker card with our new Geometric Lattice Coverplate die. This was a more involved card as I had to fill each channel with some Metalline Pewter Mini Beads and then put adhesive on all the lattices. I started out by die cutting 4-5 lattice coverplate die cuts and adhered them together. 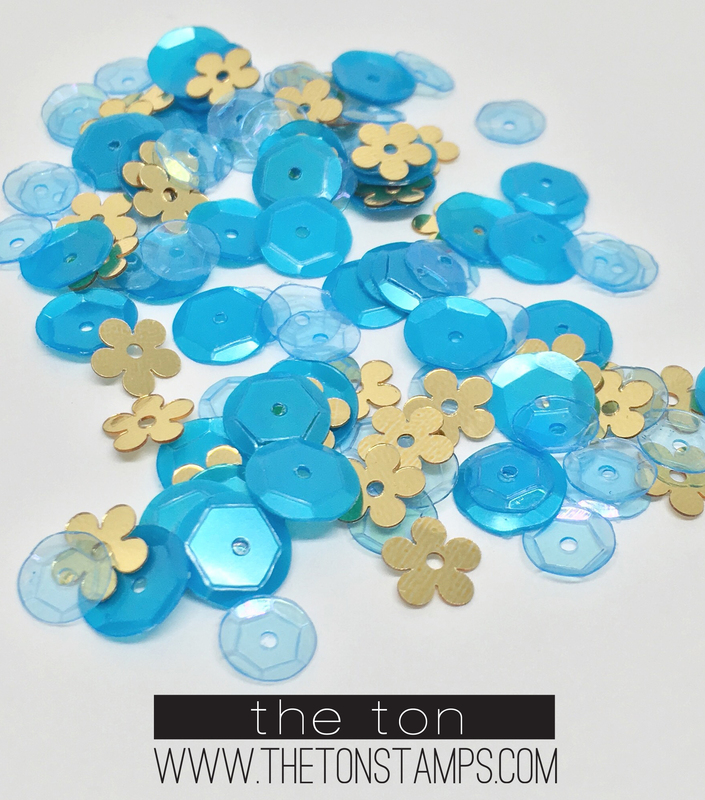 This would create deep pockets in each channel to hold the beads. Then I took an adhesive runner and ran it over the lattices so that the acetate/cover would adhere and keep all the beads within the channels. 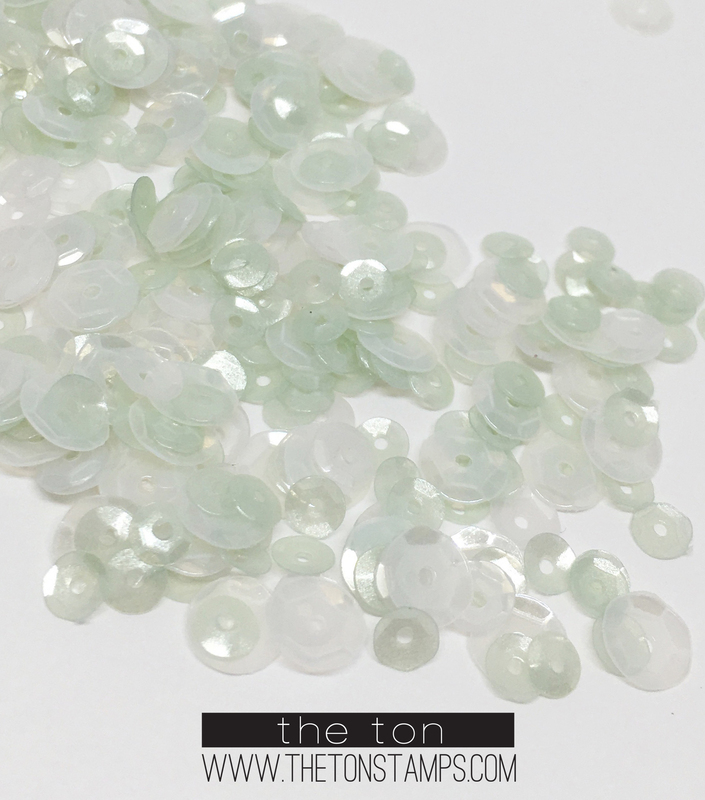 Then I adhered the acetate/cover over the bead filled base. Then I arranged the roses and sentiment on top to finish off the card. Ruby’s technique of applying a bright watercolor wash on our new coverplate die is so artistic. I also love that parts of the cutouts are not in the project. This card is perfectly imperfect! 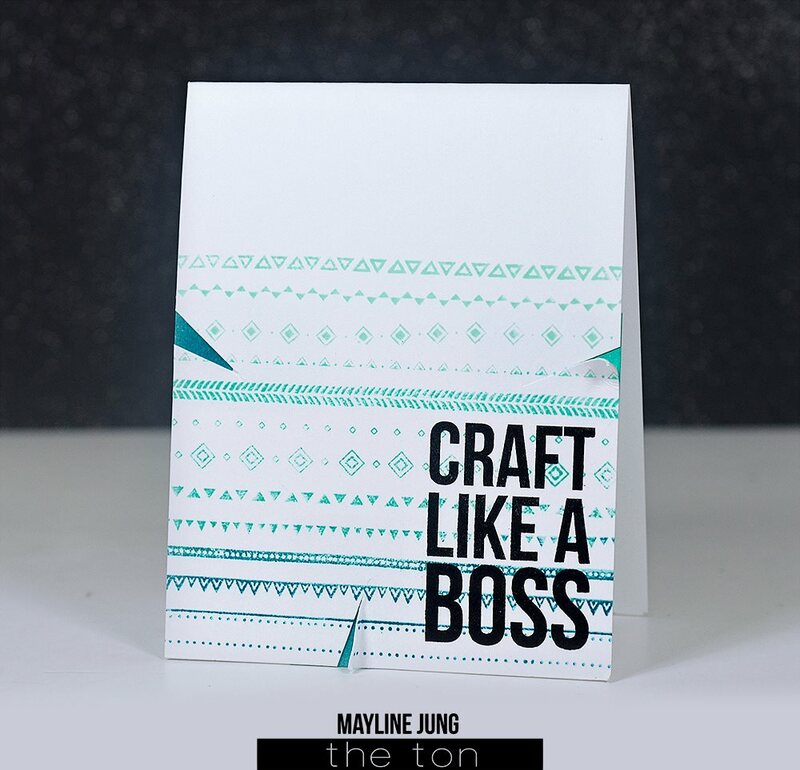 Eunji went for a funky look with her card which she creating using our new Tribal Borders and Like a Boss stamp sets. I love the ombre effect she created with her patterns! 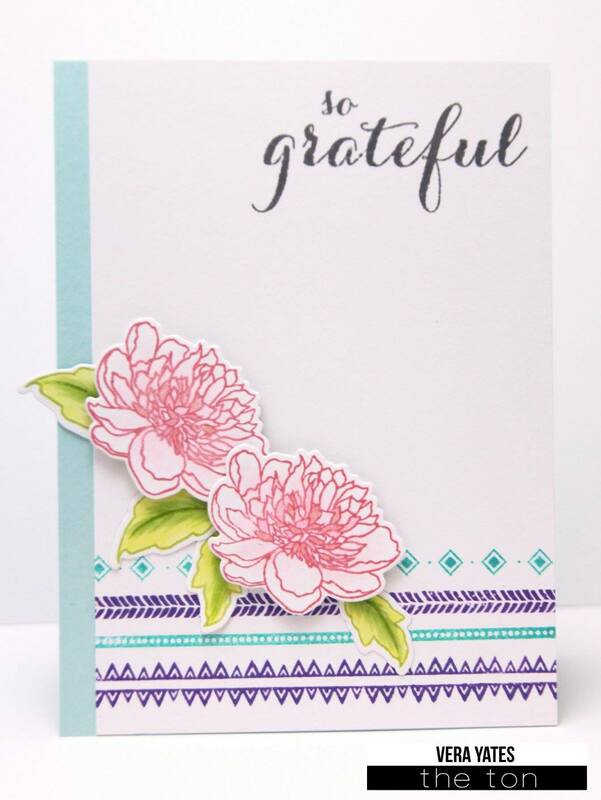 Ruby’s color choice in her repeatedly stamped background is awesome and makes for a great masculine color palette. 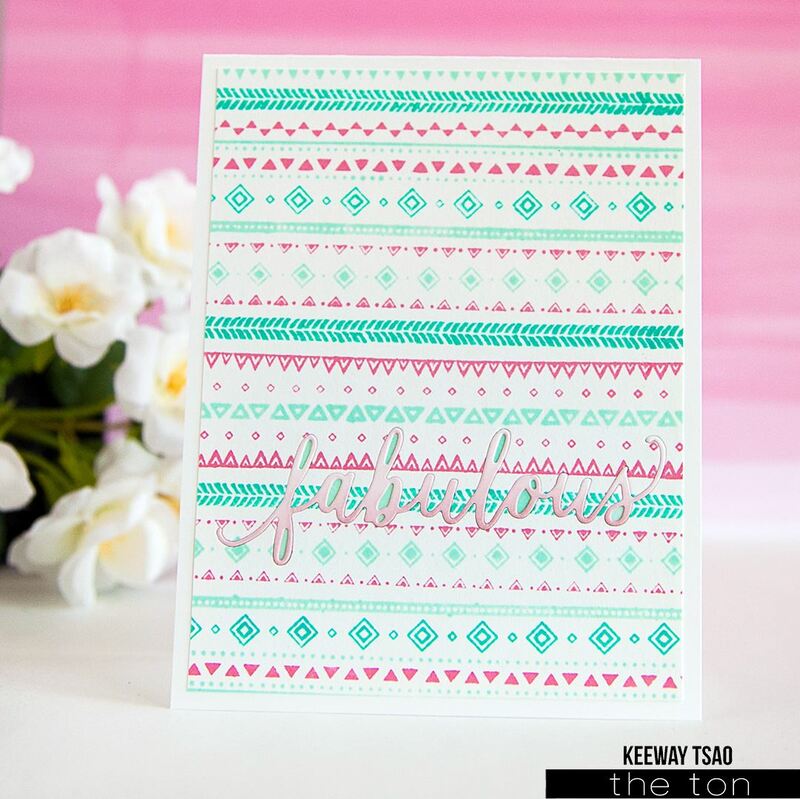 Keeway takes a brighter but equally head turning approach to repeated stamping of one border from our new Tribal Chic Borders set. 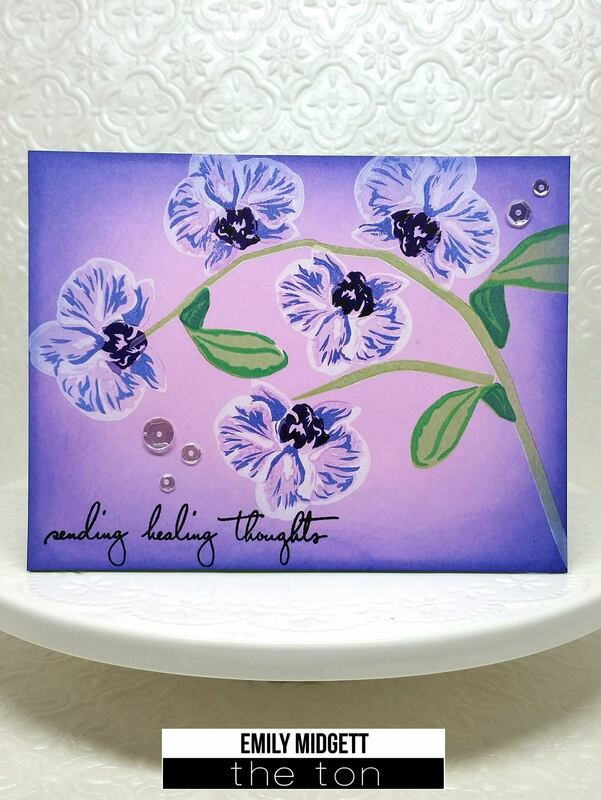 That ombre sentiment tops off the card perfectly! 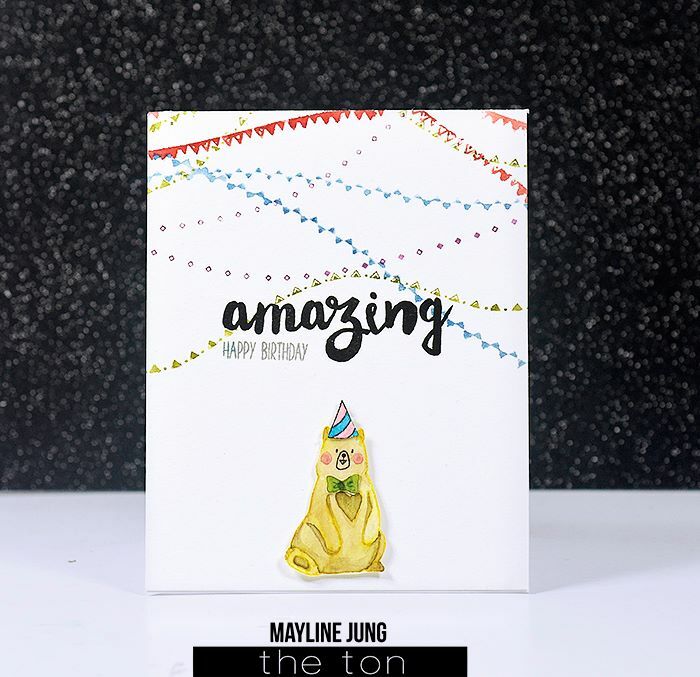 Mayline’s next card is creative and punky with her sliced edges and bold sentiment! 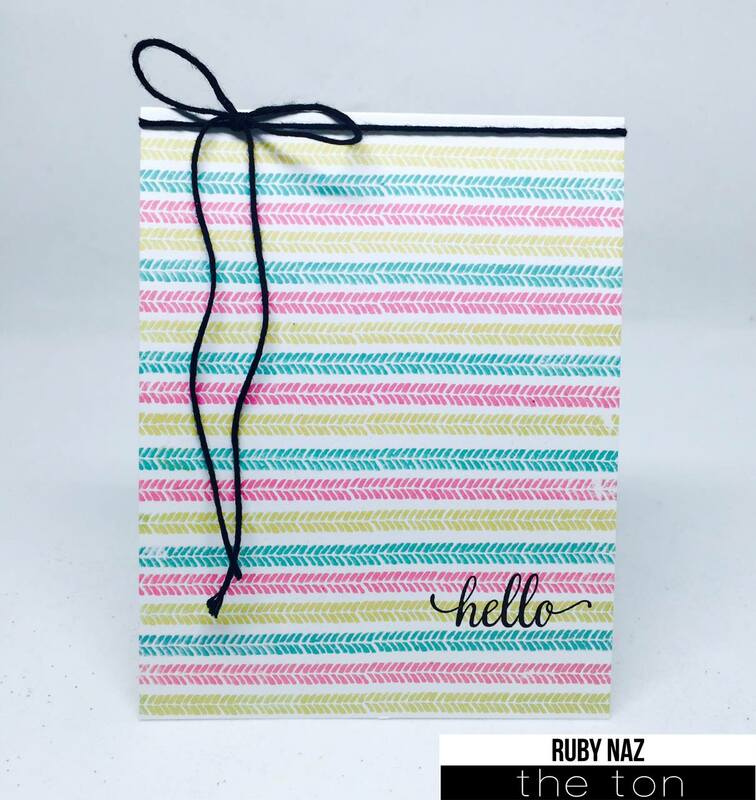 Ruby’s card is light and pretty and that hand tied bow and stark sentiment match to bring the whole card together. 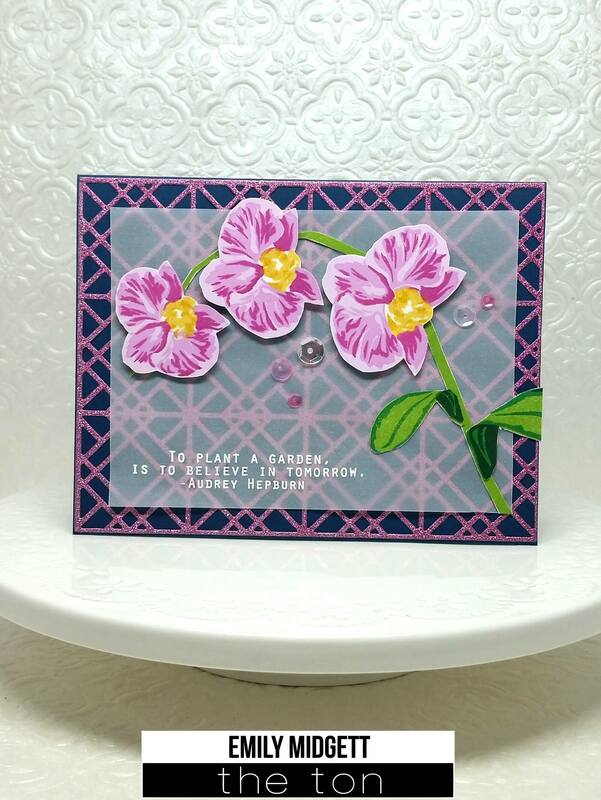 Vera created partial background using our new Tribal Chic Borders for her pretty pink Wild Peonies. Ruby’s next card is edgy and totally awesome. She also created a partially stamped background but she funked it up a little more with her color palette and well placed splatters! Jess‘ next card is just too adorable – her bear is sweating glitter in the form of sparkly shaker bits! Mayline manipulated her Tribal Chic Borders to create celebratory banners for her adorable bear! Mayline’s next card is also too adorable with her hat tipping bear. He totally makes things! 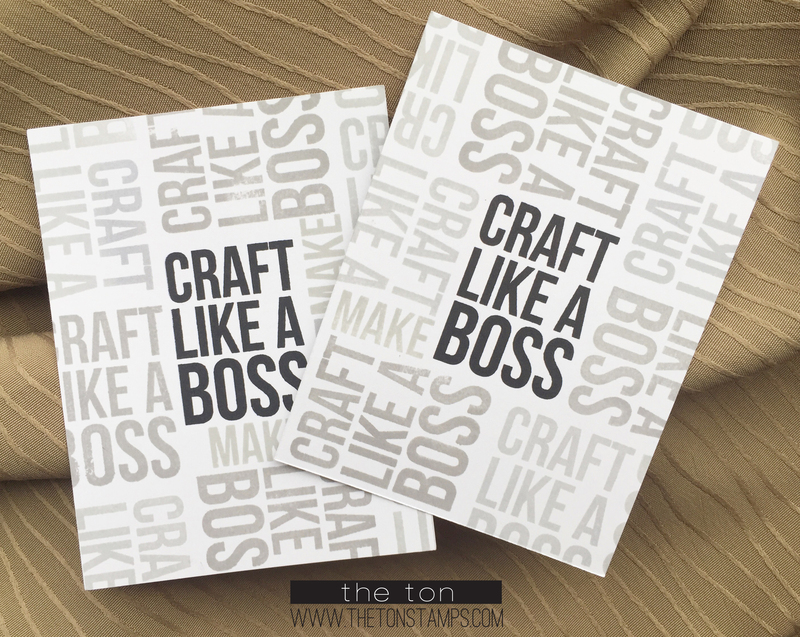 Next up is my card where I created a background with two sentiments from our Like a Boss set. I stamped the darkest sentiment in the middle with our crisp Noir dye ink. Then I repeatedly stamped the same sentiment in our Pewter Collection inks. 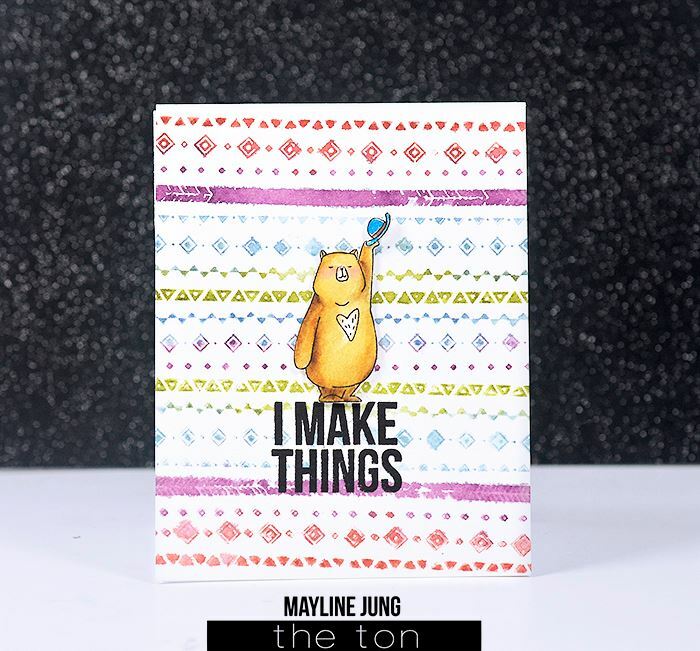 If there were some spaces left, I took the “I Make Things” sentiment from the same set, masked off everything but MAKE and stamped the MAKE in the areas that needed some filling. 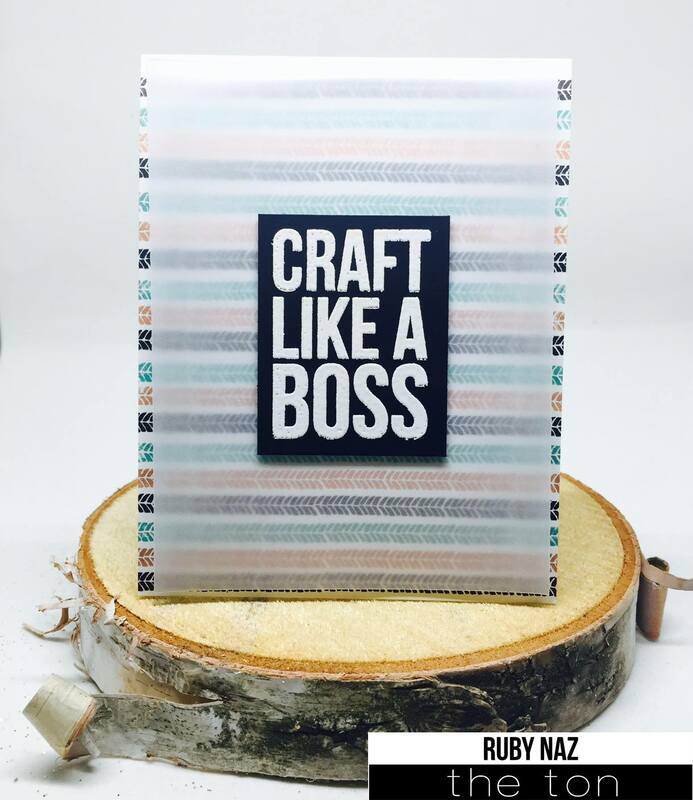 I created a similar card using the same technique as my Like a Boss card. 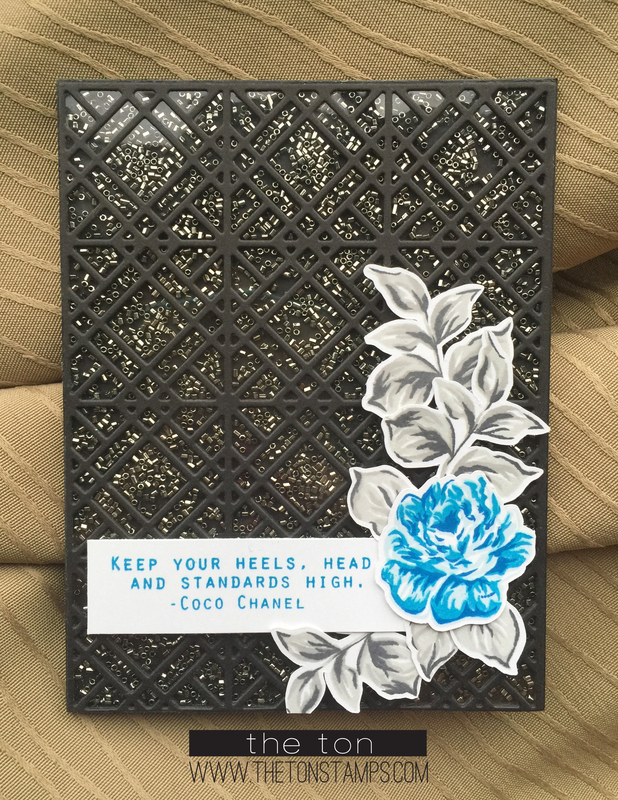 For this card, I stamped the background repeated with the Craft Queen sentiment in our Ballet Slippers dye ink. 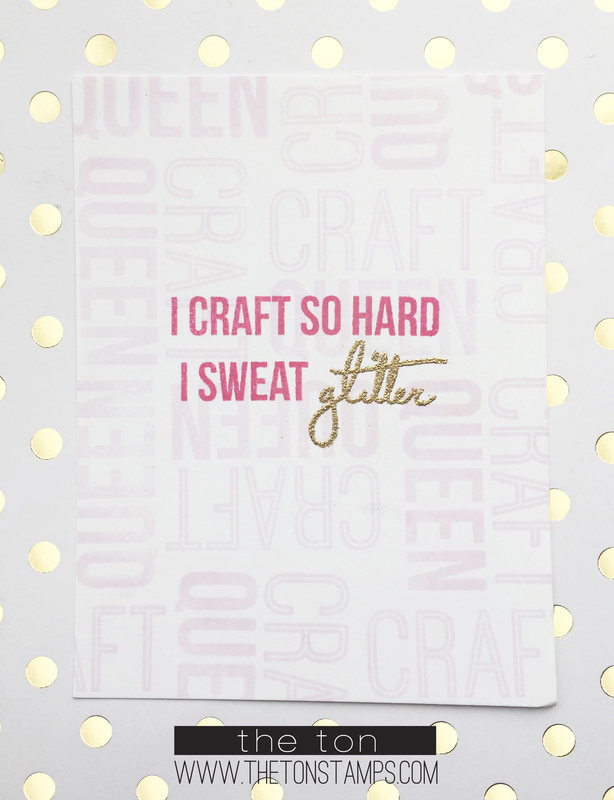 Then I cut the “glitter” sentiment from the rest of the Craft So Hard sentiment. I stamped the beginning of the sentiment in Hollywood Star dye ink. 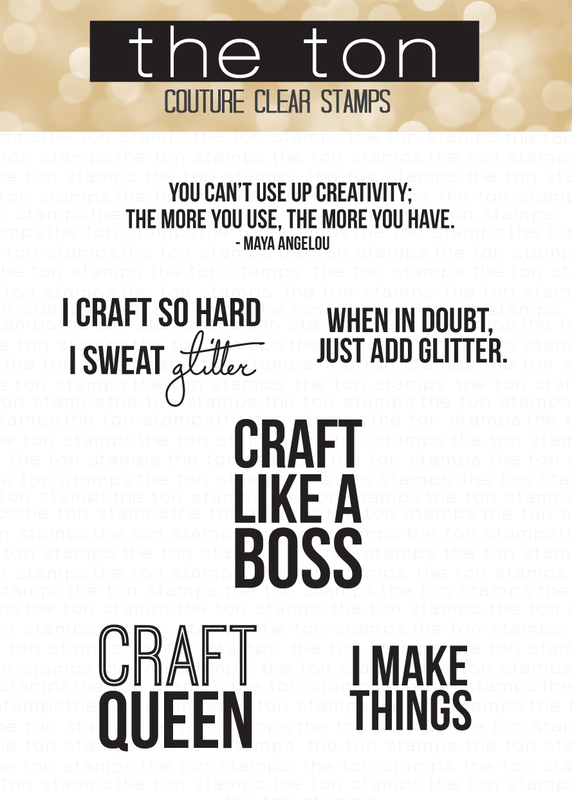 Then I heat embossed the word glitter in gold glitter embossing powder. Last but not least, Mayline’s last card sums up the past two days so well. 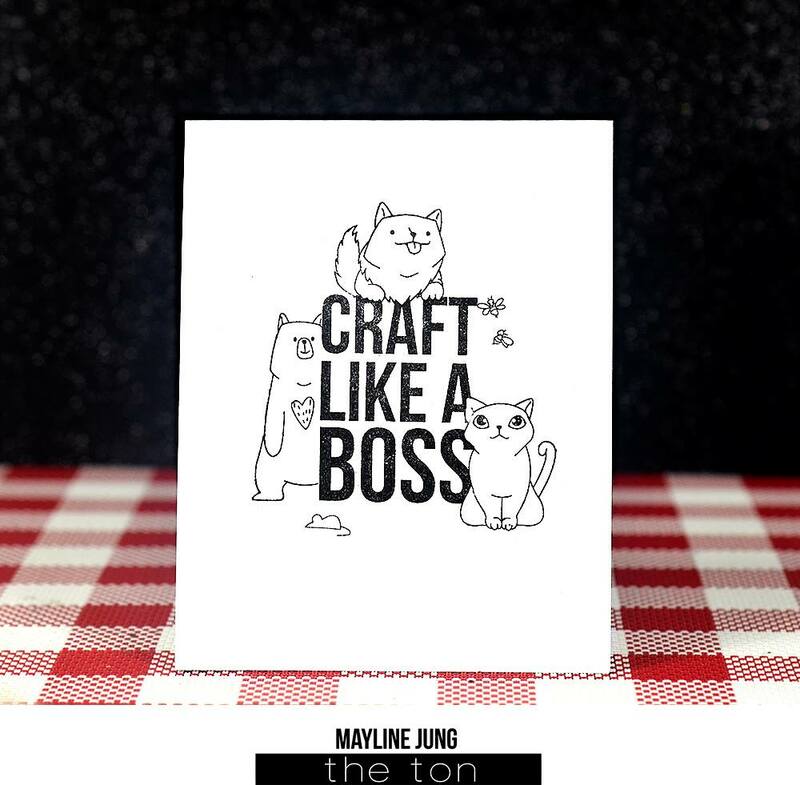 Craft like a boss with your critter stamps! That is all for today, friends! I hope you enjoyed the featured stamps, die, mixes and inspiration for Day 3 of our Anniversary Release Week. Be sure to stop by tomorrow to check out the rest of the release. Also, everything from our new release will be available in our shop tomorrow (Thursday), January 14 at 7am (EST). Don’t forget to leave comments here and the rest of our Release Week posts and on the rest of the Design Team’s posts for a chance to win one of four $15 gift certificates to our shop. The deadline to leave comments is Sunday, January 17, 2016 by 11:59pm (EST). The fun doesn’t stop on Day 4, though! We have our Anniversary Release Blog Hop on January 15 with specials guests and more giveaways. Thank you all for joining us today! Have a wonderful day! I’m adore the DT’s gorgeous creations! How lovely!! Gorgeous eye candy by the DT!